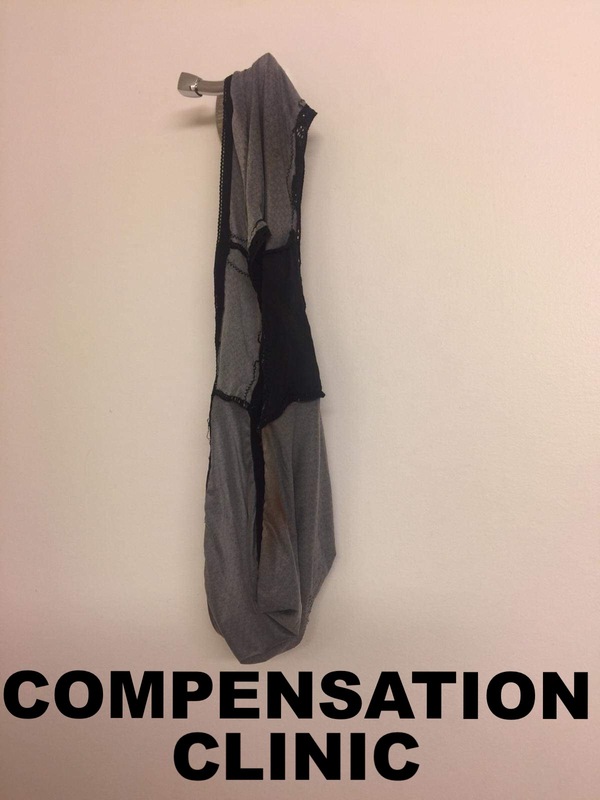 Our weekly Compensation Clinic case comes from a reader who stayed at the Holiday Inn Golden Gateway in San Francisco last week and found filthy, dirty laundry in the bathroom which has been left behind from the previous guests. Remember that you can always email us, send a message via Facebook or use Twitter and include photos too. We’ll try to cover a Compensation Clinic case here once a week, every Sunday. After our reader Kevin had checked in at the Holiday Inn Golden Gateway and eventually used the bathroom he discovered what appears to be feces stained briefs on the clothing hook behind the bathroom door that went undetected by housekeeping when getting the room ready for the next guest. 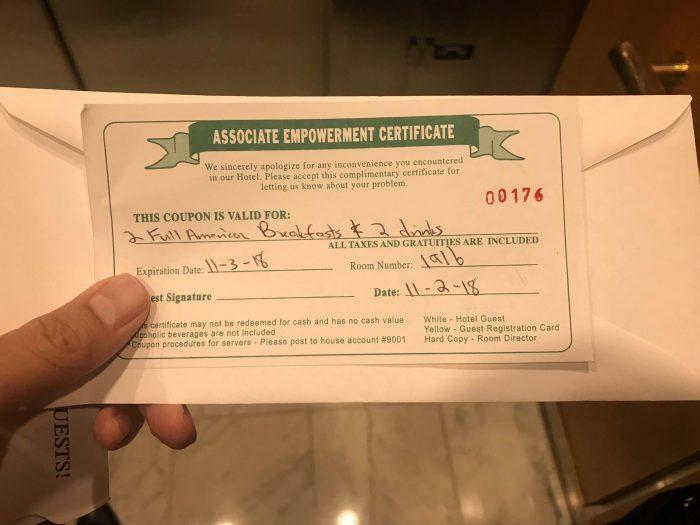 The reader reported his find to the front desk where the manager was very apologetic and offered a voucher for breakfasts as well as drinks at the bar. This is the first time I’ve ever seen such a blank voucher which isn’t branded or particular to a specific property. The hotel might be onto something to actually make such vouchers available to their employees to make things right without a giant process. That being said it’s usually not a problem to just comp a room night or meal items off the bill without given out vouchers for it. I haven’t asked how the breakfast was but considering it’s a Holiday Inn I wouldn’t expect anything fancy even though the hotel can be pretty pricey in San Francisco. I’d have suggested to comp the entire night after this filthy underwear scavenger hunt exercise. It’s very easy though to forget things on these hooks once the bathroom door is closed. Since I forgot my favorite (CLEAN) shirt at the Marriott Copacabana a few years ago I learned my lesson and never used that hook again for personal clothing.